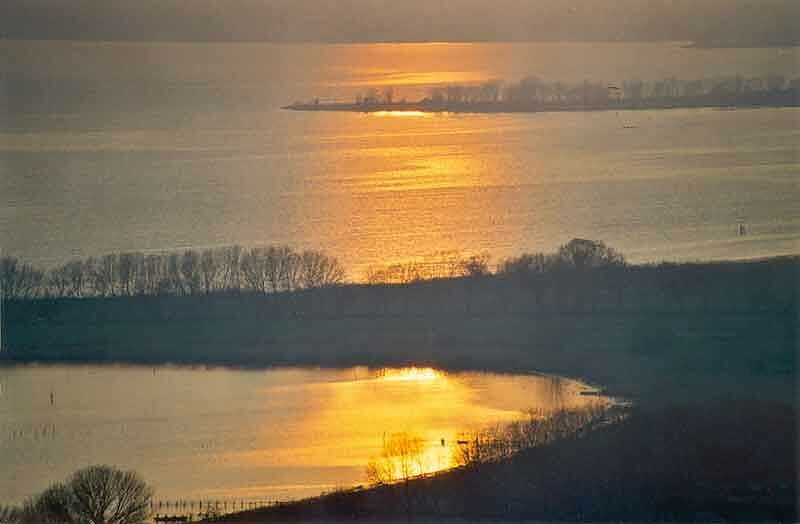 Known as "The Pearl of Trasimeno", Passignano is the most active tourist centre, situated on the northern slopes and built on a rocky ridge. 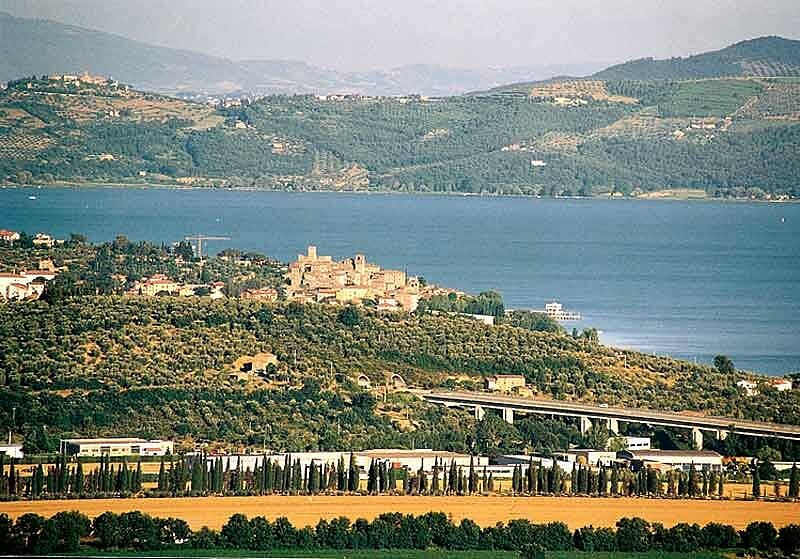 A spectator, along with Tuoro, of the Battle of Trasimeno in 217 BC, the town would soon arouse the interest of Rome, which not only built observation towers and fortifications, but also residential villas, one of which has been recently unearthed in the Quarantaia area. 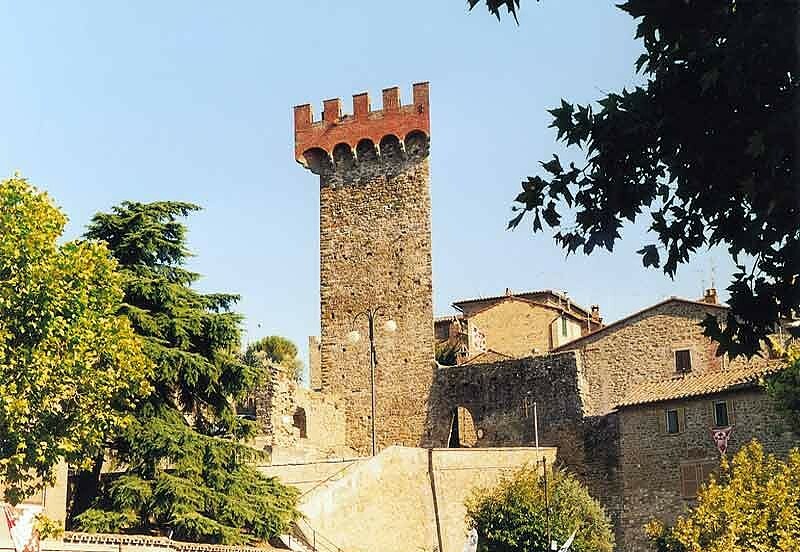 Between the fifth and sixth centuries the Longobardis erected the first nucleus of the castle, which was subsequently enlarged with a second structure and then completed around 1100 with a third phase, taking in the road to give total control of the territory. 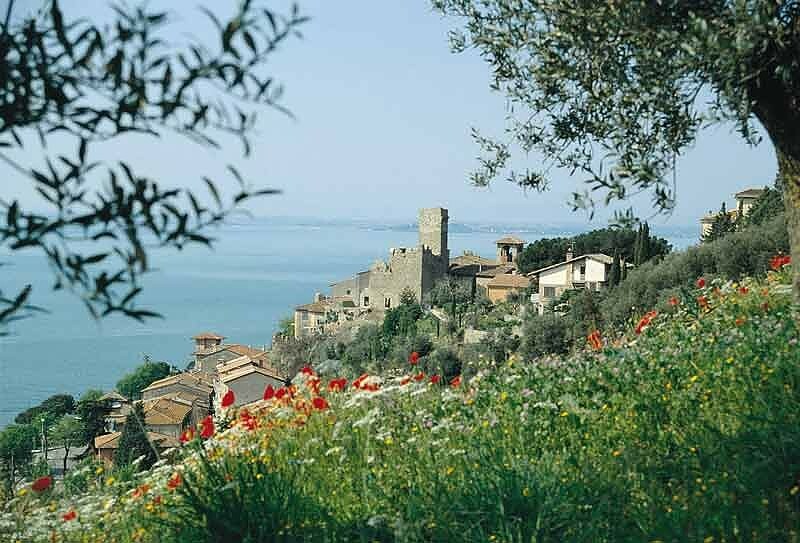 Of the mighty walled belt with three gates, numerous turrets and towers, and the walls opening onto the lake, only the northern parts and the Tower remain, along with some ruins of the walls and the towers, now absorbed into the built up areas. 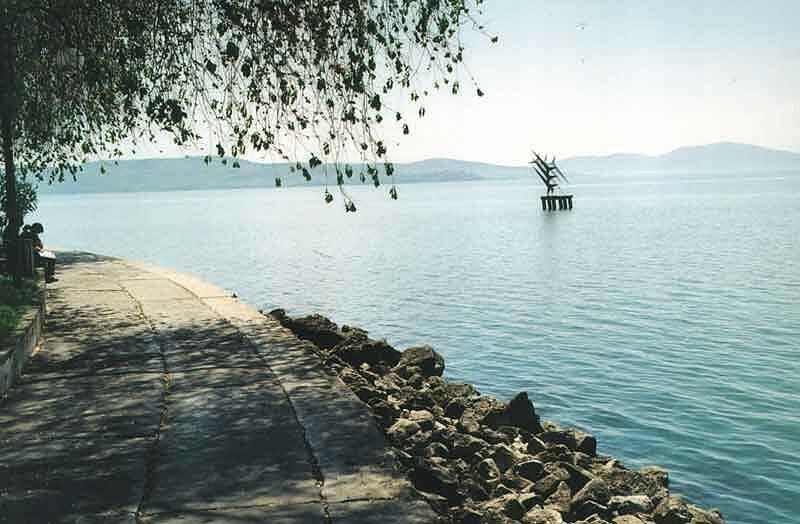 The status of Passignano altered totally in the first years of the 1900s, when the first Trasimeno Navigation Service was set up, which is now run by the APM; subsequently, a pilots' school for seaplanes was established and the aeroplane construction company SAI Ambrosini followed shortly after, turning this lakeside town into an important aviation centre - a monument dedicated to the student pilots can be seen from the shore, rising out of the water. This highly spectacular boat race is the only one of its kind, involving not less than 160 competitors drawn from the four quarters of the town. 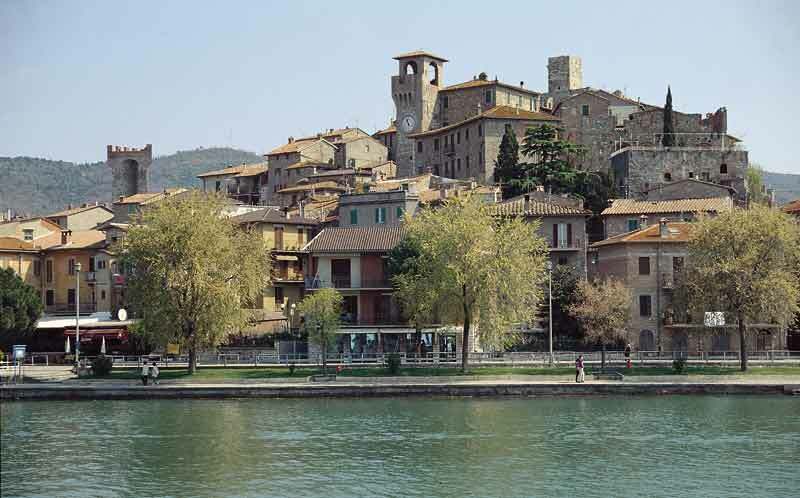 It takes place on the last Sunday of July and involves three phases: the first and third in the water, the second, with the boats borne aloft on the shoulders of the competitors, takes place on dry land, through the narrow streets and alleys in the town centre. 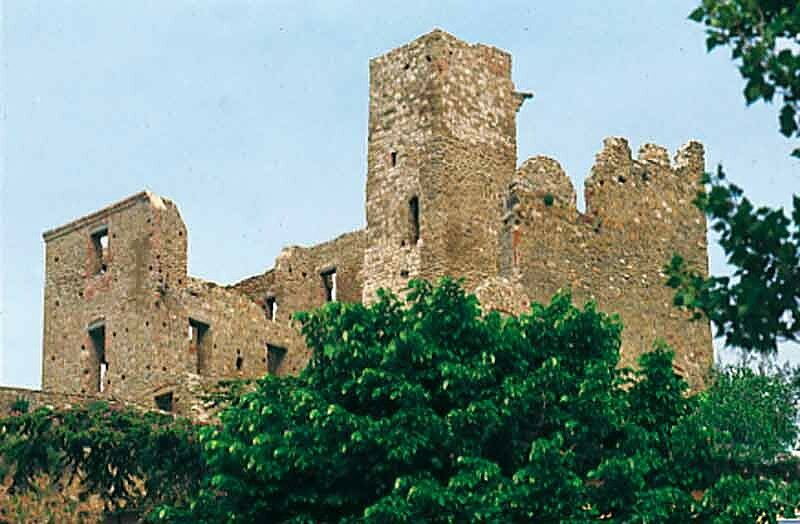 The castle, built in three different historical periods, dates back to the 5th - 6th c.. Recently restored, is actually used as a Documentation centre for the territory. San Cristoforo The cemetery church is the ancient parish of Passignano, built on a larger scale than the current church, on the site of a pagan temple: the three original apses were subsequently removed, the altar was brought forward and the entire floor was raised. The nave boasts a circle of frescoes attributed to Policleto da Cola (1418) and one attributed to Benedetto Bonfigli (1446). A beautiful temple built at the end of the 1500s with alms and work provided freely by the faithful, it takes its name from a miraculous vision of the Madonna - the section of wall where the vision appeared was removed and originally placed on the stump of an olive tree as a shrine on the place where the temple now stands. 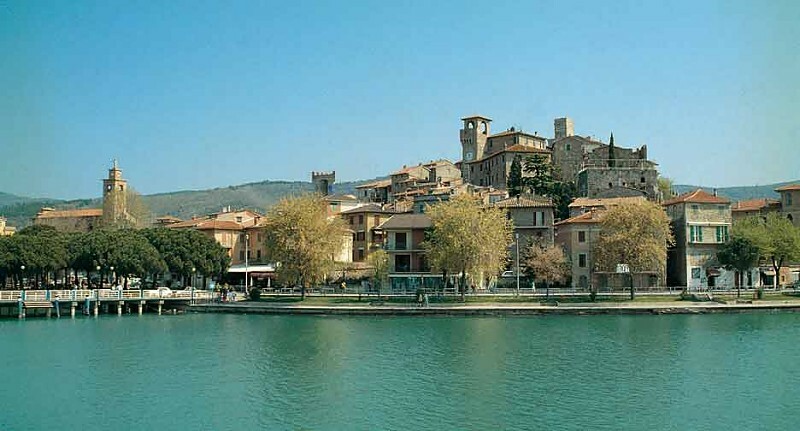 It is home to various precious art-works: the marble holy water font from 1602, the sculpture of the Madonna and child by Asciano da Cortona and numerous canvasses, among which a Madonna on the Throne by Virgilio Nucci stands out, along with an Annunciation and a Miracolo di Francesco di Paola attributed to Salvio Savini. 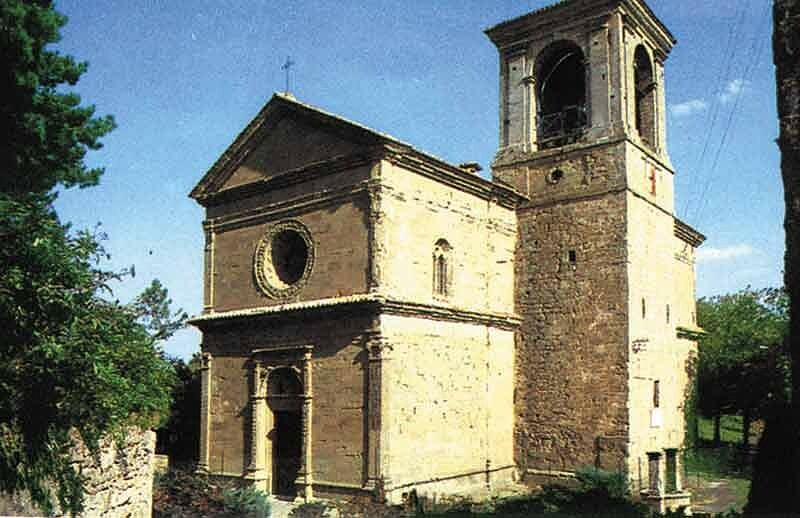 The small church of San Vito, was built around 1100 using as bell-tower an existing tower of clearly Byzantine origin. The tower was probabilly an ancient light-house given its particular structure with arches at its base and completely hollow inside, so that a fire could be lit which be visible through the round windows from every part of the lake. In the locality of Quarantaia the remains of this Roman villa have recently been found, dating back to the 1c AD. 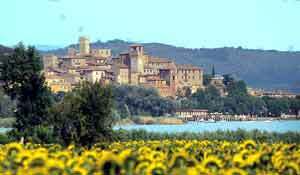 Its impressive proportions suggest that the villa was owned by wealthy masters with also a kiln to bake bricks. 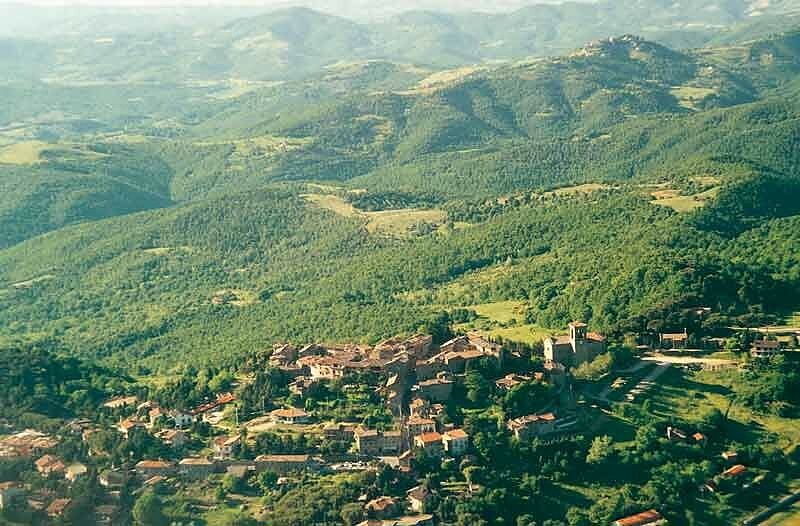 Probably deriving its name from Rigo, or Rigone, the leiutenant of Totila the king of the Goths, who stationed his base of operations here during the seige of Perugia in 543, origins which are remembered today with the annual historic recreation of the "Giostra di Arrigo" - Arrigo's Jousting Tournament. 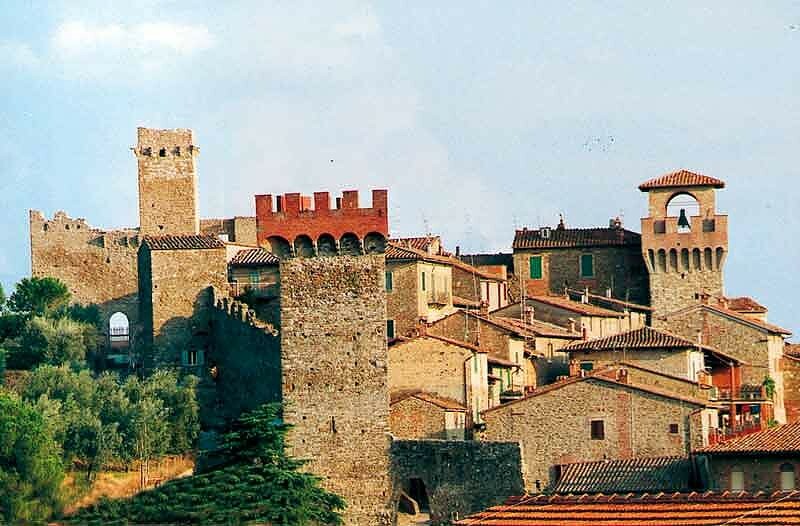 The town was fortified at the end of the 1200s, and of the imposing castle, the keep, three towers and long stretches of wall are still standing. 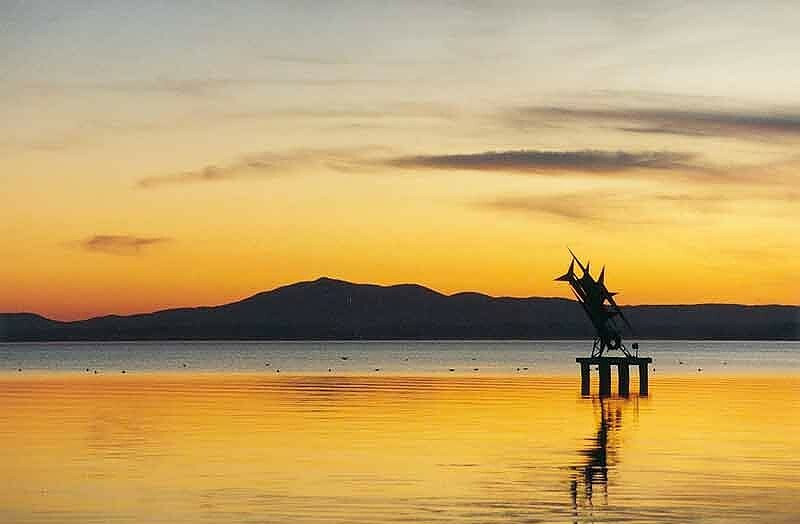 Its position high in the hills with a beautiful view of the lake, the lush vegetation and unspoilt environment make the town an ideal place for relaxing, horse riding, mountain biking and bird watching. 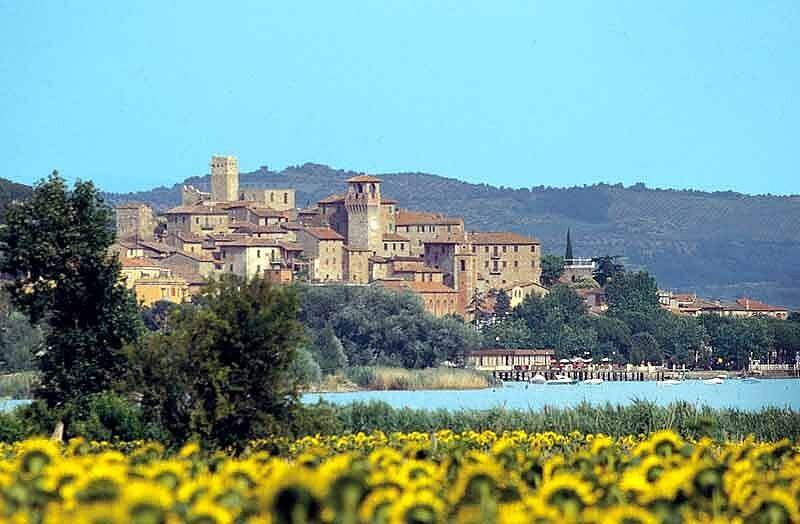 The Sanctuary of Mary of the Miracles is considered to be one of Umbria's Renaissance masterpieces, of Bhramantic inspiration. It became well known at the end of the 1400s thanks to the miraculous properties attributed to a painting of the Madonna on one of the walls, and in the ensuing years it has been enriched by the addition of precious works of art. Among the most important of these is the "Madonna del Rosario" (Madonna of the Rosary) by Bernardo Rosselli, an "Assunzione" (Assumption) from Caporali's studio, a beautiful "Epifania" (Epiphany) by Domenico Alfani and a "Croce Lignea" (wooden cross) from 1531.